Crooked Letter i had its public launch at the Decatur Book Festival, where book contributor and festival panelists Susan Benton, Christina Holzhauser, B. Andrew Plant, Ed Madden, and James Villanueva participated in a lively and thought-provoking discussion about coming out in the South. Thanks to the Decatur Book Festival organizers for arranging for such a great kick-off event. A few days before the festival, contributors Suzanne Lea and B. Andrew Plant were interviewed on the Georgia Public Radio program On Second Thought on an episode concerning the opening of the LGBT Institute in Atlanta. Host Celeste Headlee spoke with the authors about the emotions related to the experience of coming out in the South. Plant and Lea discussed the personal nature of the stories they shared in Crooked Letter i. They talked about the importance of trying to reach the next generation of LGBT teens with a message of support and opportunity. They also discussed how the distinct character of Southern culture — including very specifically the element of strong religious fundamentalism — affected their decisions to come out. “Southern” makes the stories in Crooked Letter i unique to LGBT literature. Publishers Weekly quoted NewSouth publisher Suzanne La Rosa in a recent article about the South Carolina state house’s controversial decision to cut funding to two schools that assign books with gay and lesbian characters to their freshmen. 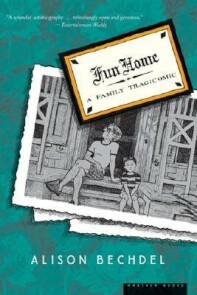 The University of South Carolina Upstate assigns their students Out Low: The Best of Rainbow Radio, edited by Ed Madden and Candace Chellew-Hodge, and the College of Charleston assigns their students the novel Fun Home by Alison Bechdel. 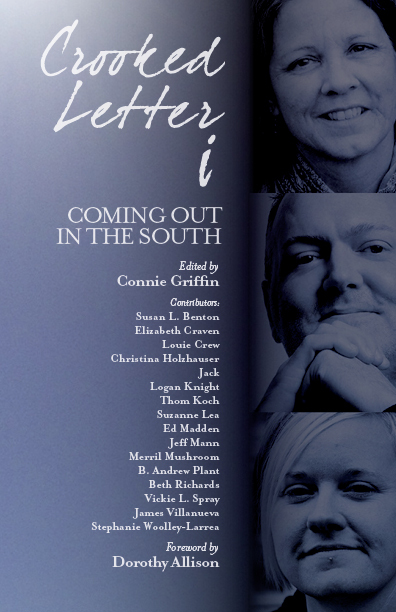 NewSouth plans to release a book of Southern-themed LGBT coming-out stories in 2015, tentatively titled Crooked Letter I and edited by Connie Griffin. Read “Booksellers and Publishers React to the Defunding of S.C. Universities” at the Publishers Weekly website.